After you’ve spent countless hours writing, editing, and agonizing over it, your book manuscript is sure to seem priceless to you. But if you’re planning to sell your book, you will need to come up with an appropriate sales price. 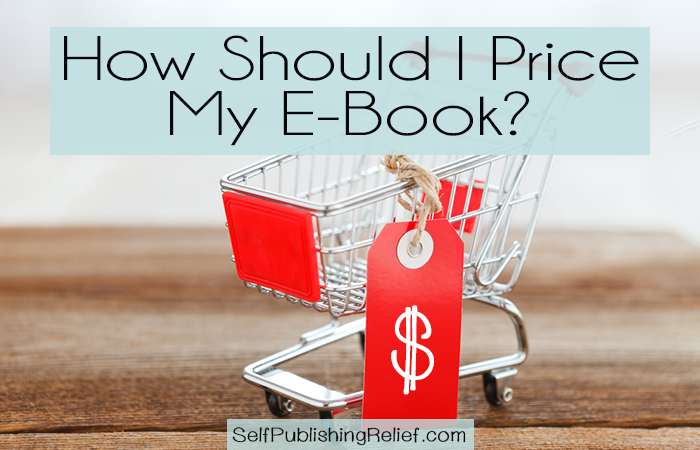 So how will you know if you’re pricing your book too high, too low, or just right? We’ve done the research and created a list of five essential elements you must consider before setting your book’s price on Amazon. Sorry, but it’s true: Not many authors strike it rich selling e-books. While the demand for e-books has increased, the market is so saturated (and the prices so low by comparison) that it’s difficult to turn a profit. If you’re willing to set aside your dream of diving into piles of gold, we can walk you through determining the right price for your e-book. A day in the (dream) life of every author ever. Kindle Direct Publishing sets parameters for e-book pricing based on the file size of your book. That being said, there’s enough wiggle room within Amazon’s parameters that you could still incorrectly price your e-book so that it languishes on the worst-selling list for all time. Here’s our tip: Make sure to meet the minimum requirement for your file size and move on to other criteria. While the file size is important (especially for books heavy on images), there are other factors that will more directly affect your e-book price. Now that you know the minimum amount at which you can price your e-book, it’s time to take a look at what might be the most important factor: genre. Is your book fiction, nonfiction, or poetry? Does it fall under a well-known subgenre? A good rule of thumb is to look at other e-books within your book’s genre and compare prices. In most cases, $2.99 is a good place to start. Page count can affect your e-book’s price as well. While file size is the primary concern regarding Amazon’s parameters, page count speaks in a much more tangible way to how much content the buyer is getting . More often than not, books with 400 pages or more will be priced on the higher end of the spectrum ($4.99 and above), and books under 400 pages will be priced on the lower end ($4.99 and below). This is a big one. You definitely need to do your research to know how e-books similar to yours are priced. 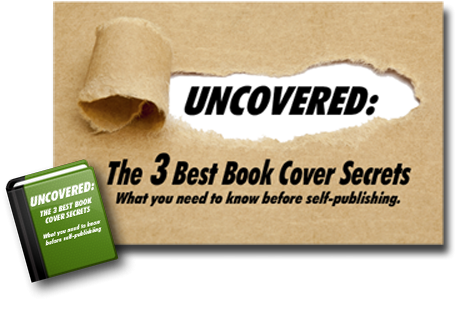 Since these e-books will be your chief competitors, you need to make sure your book is priced competitively. This may mean pricing your e-book a little lower (or higher) than you originally anticipated. But in a market where every sale is critical, getting your price right is well worth the effort. Just as you researched e-books similar to yours, you must also research authors similar to you. How? Be on the lookout for authors who have a similar catalog of work (if you only write in one specific genre, this should be easy). Once you have figured out who your competition is, you can price your e-book competitively—and bolster your marketing campaign with an author website and social media. 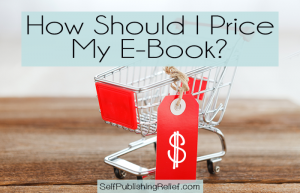 Should I Ever Change The Price Of My Book? The answer is: sometimes. If you notice that even with active social media promotions, a well-designed author website, and a strong word-of-mouth campaign, your e-book still isn’t selling—it may be to time to lower the price. Whenever you consider raising or lowering the price of your e-book, check the e-books you’re competing with once again to make sure you’re relatively close to the average price. While there is some potential benefit in a higher price due to “perceived value,” inflating too high may cause buyers to choose a competitor’s book rather than yours. If you’re nervous about what lowering the price of your e-book might do to its perceived value, you might try a limited-time promotion instead. Once your e-book is priced right, hopefully that first sale—and many more—won’t be far behind! QUESTION: How much do you usually pay for e-books? 2 Responses to How Should I Price My E-Book? Thanks for your interest in Self-Publishing Relief!